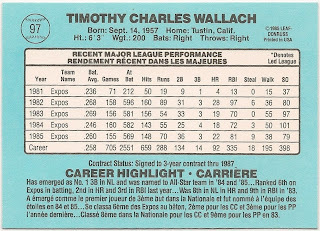 Card Review: 9.0 The Leaf sets were nearly identical to their Donruss counterparts. Whereas O-Pee-Chee used a much lighter card stock than Topps, Leaf used the same stock as Donruss. 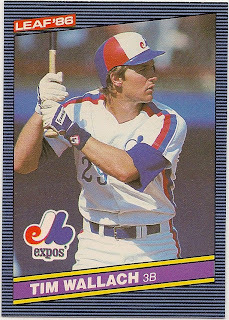 1986 Leaf is the only Leaf set (before it became it's own thing) that I bought any amount of, and I bought nearly an entire wax box of it. 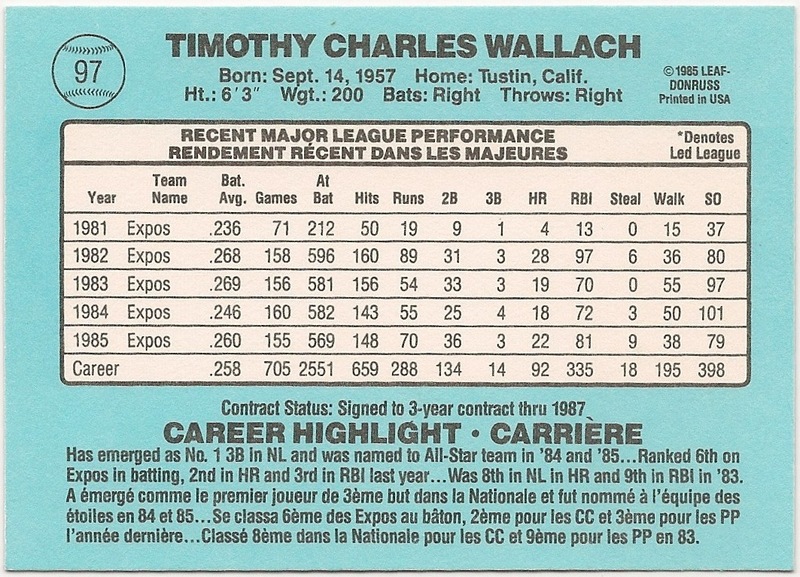 Probably around 1991, one of the card shops in Cooperstown put a box out and was selling packs for a buck or two. I bought out nearly the entire box over the course of a couple weeks, one bike trip and handful of quarters at a time. I was chasing the Jose Canseco "Rated Rookie," which was still a desirable thing at the time. I'm not even sure he was included in the Leaf set. In any event, I didn't pull a Canseco, though I did pull a Leaf Fred McGriff "Rated Rookie," a card that remains one of my favorites in my entire collection.